Travelling Japan had been on my bucket list. Though previously already reckoned it a very polite and clean country, I had never fathomed that the locals and the society can be that cultured and developed until I went there this February. It can be seen that the Japanese, a hard-working ethnic who admires the strong, are always ready to absorb strengths from others and keeps on upgrading what to be their own unique advantages. Due to the continuous learning especially on the prosperous culture and political institutions of China's Tang Dynasty (618-906) whilst on the high-tech and open society of modern America after the World War II, being small in territory doesn't impede Japan becoming highly developed yet preserves charming Oriental cultures. At Fushimi Inari-taisha, the head shrine of Inari. It's rare to see a country perfectly combines the Eastern and Western essence as Japan, whose people use chopsticks like a pro while also know how to eat with knife and fork. 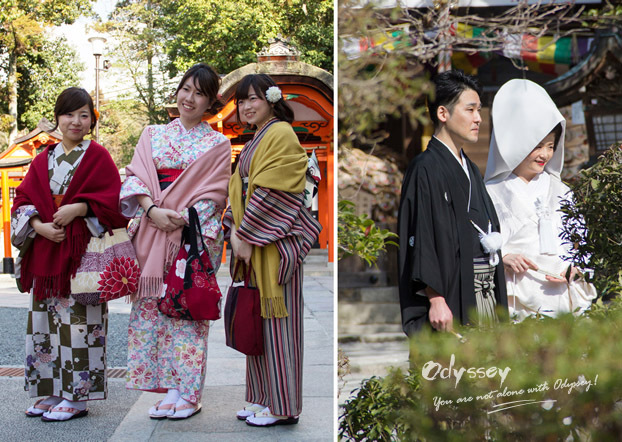 Yes, you will be surprised that the fashion capital Tokyo is full of quiet places and traditional activities. 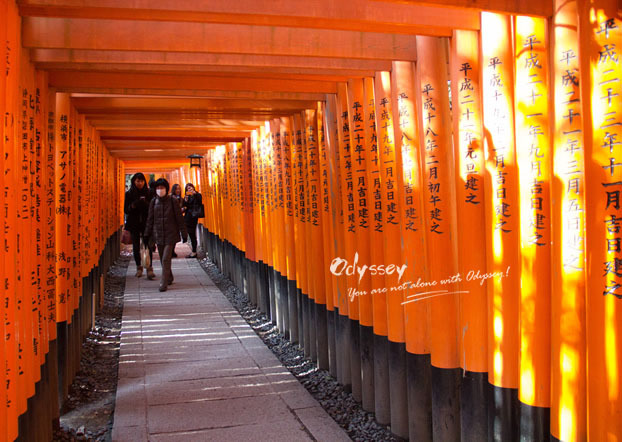 Likewise, in the ancient city of Kyoto, tourists will never feel they can get enough for Japan truly is a mysteriously beautiful country abundant of rich tourism resources, providing colorful travel experience for everyone! It was late February and early March, the low season that I did Japan, but the scenery is still very enjoyable. 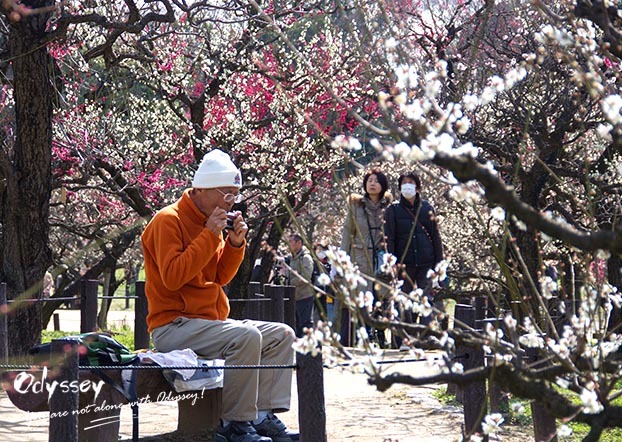 In spring, most cities exude romantic fragrance because of the cherry blossom. Odyssey private tour guide Kanako told me that when in summer, everywhere is shrouded in fresh green; in fall, maple leaves turn the country to charming red while in winter, can you imagine enjoying a relaxing hot spring bath after the exciting skiing in the international ski resort capped with powder snow? Note that the peak season usually starts in April to May and October to November with a slight spike during Christmas. The Osaka Castle is a favorable spot for the locals to chill and enjoy spring. I believe nobody will say no to see local Japanese women in beautiful Kimono, Japan's traditional dress featuring long sleeves and reaching all the way down to heels, quite an elegant and graceful garment! Nowadays,despite of the popularity of western clothing after WWII, kimono remains an everyday wear and is still preserved for traditional cultural occasions. Meanwhile, in the historic Gion District of Kyoto, try your luck at meeting a dressed up geisha on her way to work or on the way back! Kimono-wearing occurs more commonly in Kyoto than in other towns and villages. 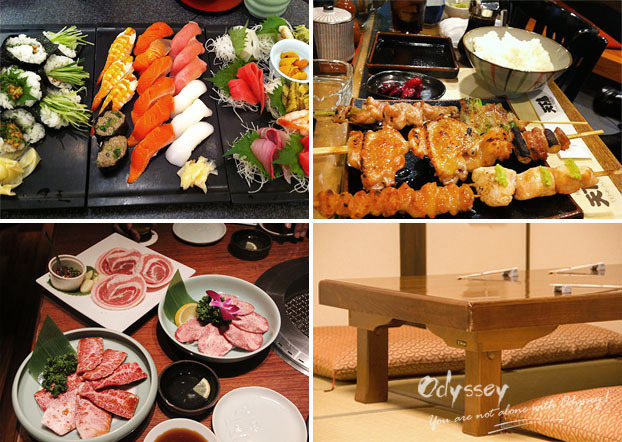 I also believe that most people will be easily attracted by the delicious Japanese cuisine in their Japan tour, especially sushi, grilled beef, local beer and the like. The Japanese attach much importance to the aesthetic arrangement of the food and have a religious embrace of freshness, so every dish is a piece of artwork with incomparable uniqueness.  Table setting and dining etiquette is another thing to pay attention to. Traditional tables and pillow seats on the floor are common while many restaurants also feature Western-style tables and chairs. Remove shoes before seated if you decide to try the traditional one. Later, the location of dishes and utensils is set properly based on the classic meal formula. 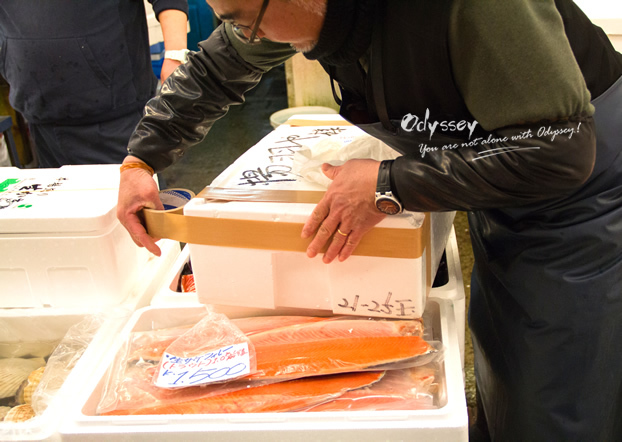 With saying "Itadaki-masu" (I humbly receive), you're on your way to a culinary journey. The Japanese are obsessed with arrangement and aestheticism, even in the aspect of food! Japan has 16 World Heritage properties, including historic shrines, temples, Eastern castles and natural wonders that lures millions of foreign tourists come to visit Japan each year. If you have been to China, these heritage sites in Japan are not impressive in size, comparably, but all is pretty exquisite and carefully maintained. The breath-taking Mt. Fuji is the place to die for! 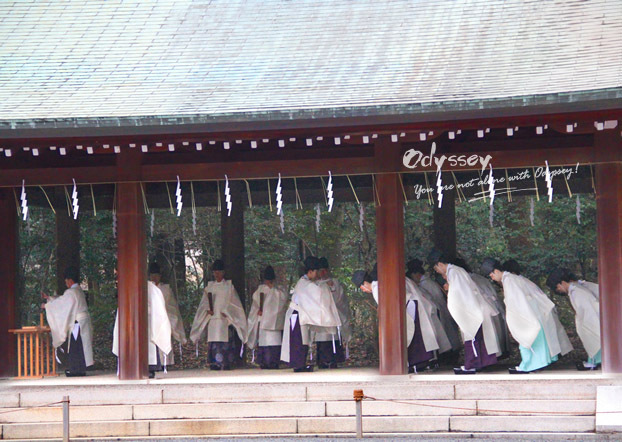 We luckily ran into Shinto priests performing rituals at the Meiji Shrine, Tokyo. The Japanese are good at details control, with a strong emphasis on the quality and user-friendly design. If you ever used the intelligence toilet made in Japan, you will be with me on this view. The soft seat has a warm stable temperature of over 40 degrees Celsius (such a bliss in winter!) and sends out fresh scent. In a majority of fancy restaurants, the lid of the toilet automatically opens when a guest enters the bathroom. Besides, public toilets are always kept in clean condition and served with plenty of towels. This electronic panel next to the intelligence toilet is used to wash your nether regions. Sweet, huh? Environmental protection plays an important part of the Japanese daily life, and they are really doing a remarkable job. How clean is everywhere! Just take a look at the trucks in the streets, you will know everything: they are utterly handsome Optimus Prime (one of the Transformers)! During the short stay at Nara Park, we even played with wild deer that roam free and rule the city. 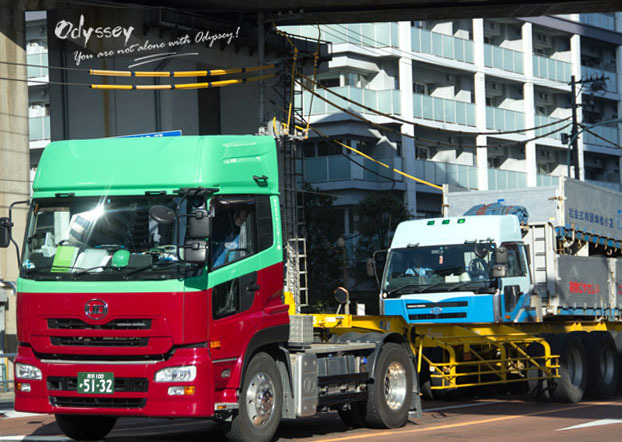 Trucks we saw in the street are unexceptionally shining as new. 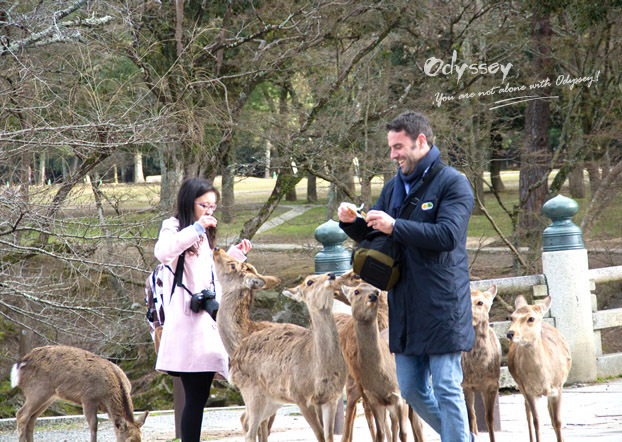 Interestingly, if you bow at the deer at Nara Park, some of them return the favor for cookies' sake! While waiting to board the Ashi Lake cruise near Mt. 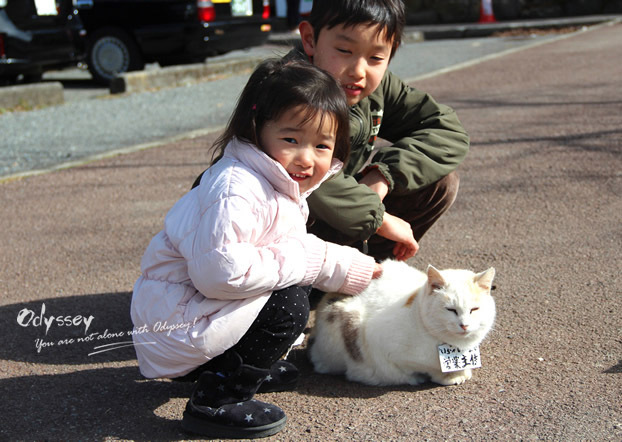 Fuji, we found a few adorable kittens that enjoy gentle pats from kids. Not necessarily about automation and pertinacity, the Japanese are great at certain ideology: public order, health, national unity, traditional etiquette, harmony, balance between man and nature, advanced personalized technology, delicacy… And their nature is particularly respectable: meticulous, polite, cultured, righteous, kindhearted… These characters, as well as good discipline and the well-protected environment, make Japan a worth-coming-back country for world travelers. 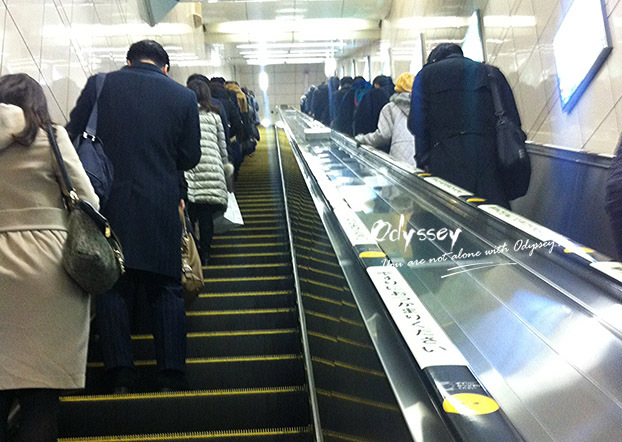 The escalator always has room for emergency. Packaging is serious - no skewed tape is acceptable! During my stay in Japan, I encountered many touching scenes. I still have fresh memory of the local people who kindly shown me the way; when I got lost, who walked me to the destination for more than 10 minutes to make sure I was in the right direction; who patiently taught me to use the ticket machine; who ran out of the shop to return me change, etc. If you accidentally leave your phone, wallet or umbrella in the restaurant, don't worry, they are good there. 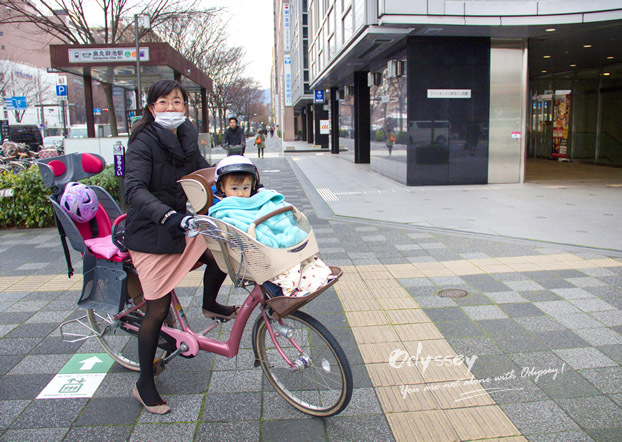 I witnessed passersby rapidly stepped forward to care for the granny who suddenly crouched in the tube, and was greeted by a friendly mother who immediately stopped her bicycle when she learned I wanted to photograph her and her little girl. Thanks posturing for the picture, lady! I think I will visit Japan very soon again. It's the sweet people and bright things that deeply attract me plus so many are waiting to be explored. And I believe you will fall in love with it too, just the second when you land in this amazing land. 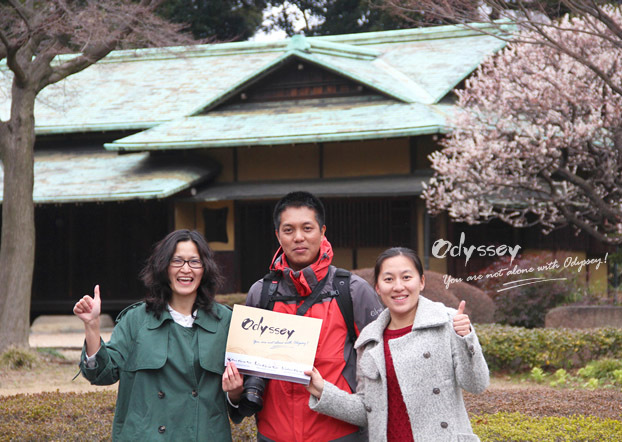 Share my travelogue to inspire someone with whom you want to discover Japan together! Yeah Odyssey does Japan right!